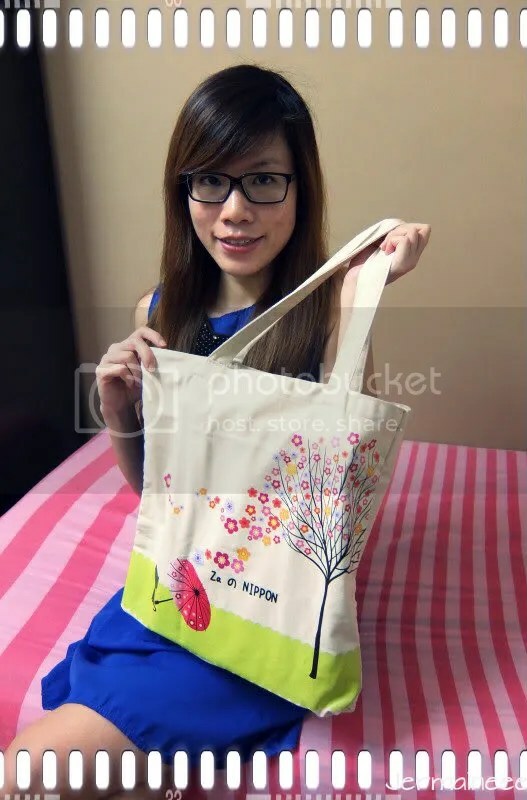 (Announcement) Running out of X’mas gift ldeas? 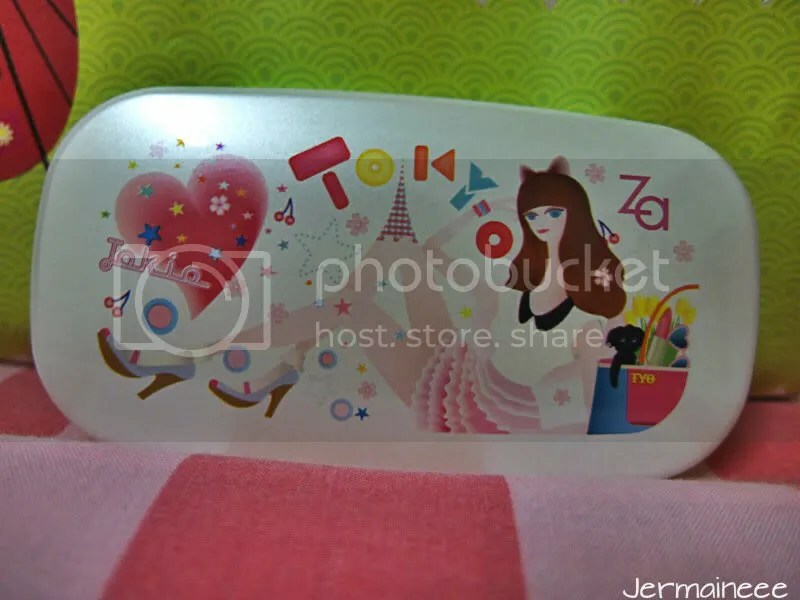 Why not Consider the ZA Tokyo Limited Edition Set for your gfs? If you are running out of ideas on what to get your Besties or Gfs as Christmas present, why not consider the ZA limited edition set that features 1 limited edition case, 2 foundation and 1 bag? This gift-set is available exclusively in ALL Watsons Singapore @ $33.50 and there are 8 different sets for 8 shades of Perfect Fit Two-way Foundation refill to choose from. I don’t know if you remembered my post about the ZA gift set last year, the theme was built around Retro Pop..
Photo credits to ZA’s FB page.. Although ZA products originated from Japan (Since it is a stand-alone brand by Shiseido) , it isn’t sold in Japan’s market until late this year.. Initally, Za products are only available mainly at drugstores in China (including Hong Kong), Taiwan, Thailand, Vietnam, Singapore, Malaysia, Indonesia, and New Zealand. 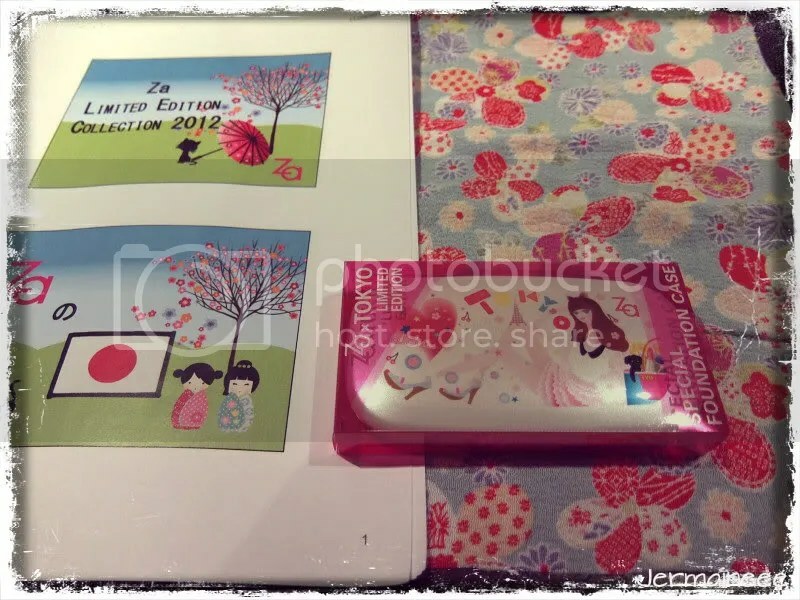 Hence, the limited edition case for this year encompasses the charm of Tokyo ladies in their upbeat world.. It feature a Tokyo Metropolitan Beauty girl who looks stylish and feeling chic surrounded by various Japanese elements. If case you are wondering why the neck of the Tokyo Metropolitan Beauty girl seems so long, neck women are actually one of Ed Tsuwaki’s notable works.. He is well-known for his characteristic figures featuring long-neck ladies and here’s some of his works done for Vogue Italy, Starbucks, Marie Clarie Australia and Comme Des Garcons! 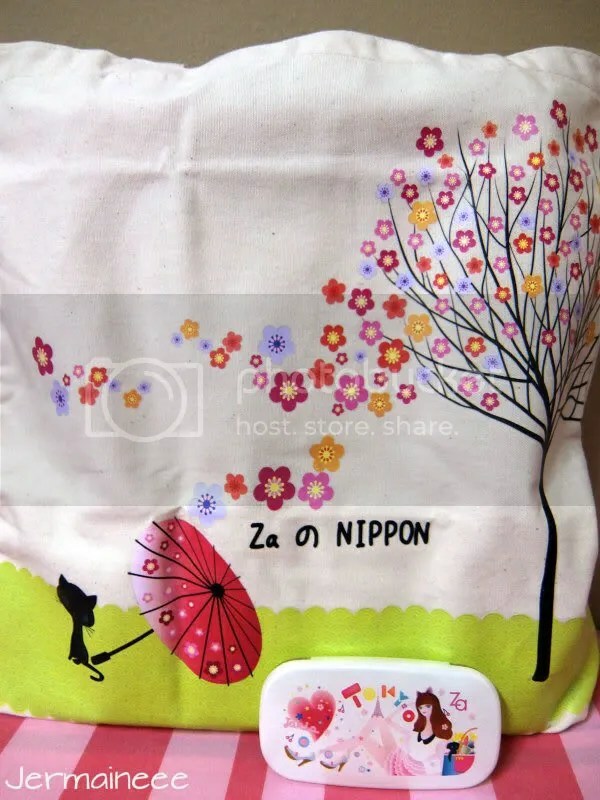 In order to complement the pretty casing, the ZA limited edition set also comes with a Canvas tote bag that features cute neko-chan.. Omg, it is so cute that i bought it out the next day as i cannot wait to show it to the world.. LOL! 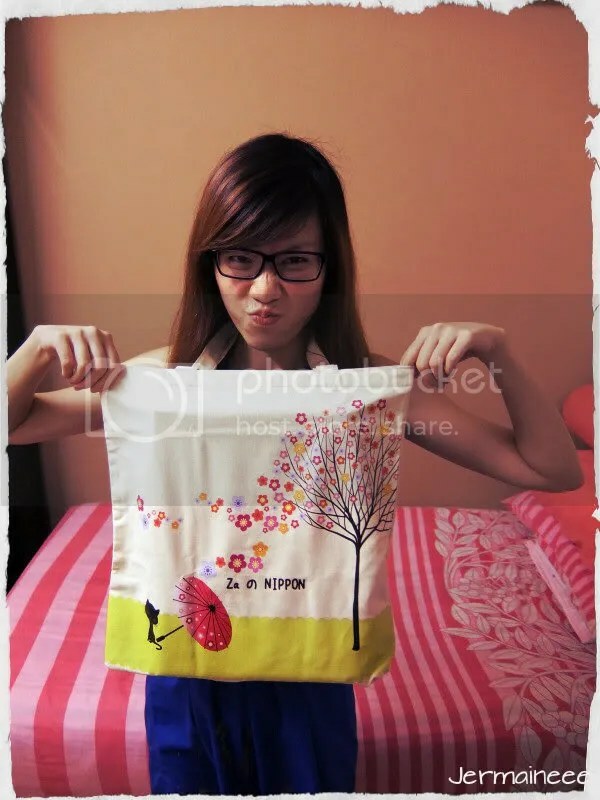 The bag is big enough to fit in A4 size files / papers and roomy enough for you to store all your daily barangs.. Trying to imitate the long neck ladies. Major fail! The limited edition set also comes with 2 Perfect-Fit 2 ways foundation refill.. This foundation has an improved formula and it contains moisturizing ingredients (water holding collagen and Hyaluronic acid).. It contains SPF 20 PA++ and has a brilliant finish that lasts up to 8 hours (due to bright keep pigment).. 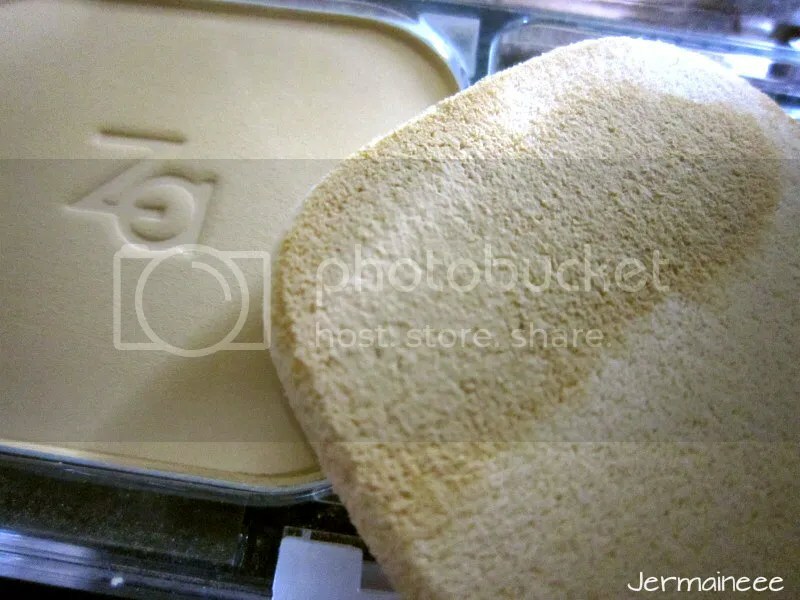 It also has anti-shone powder to keep excess sebum away.. If you wish to know more about the foundation, i did a review previously and you can click here to access that blog post.. I have to say that this ZA Tokyo limited edition set is so worth it as one foundation refill already cost $18.50.. (So 2 refills will cost $37).. I have yet to factor in the cost of casing and bag and the whole set only costs $33.50!! Some ‘behind the scene’ photos taken at the event… The event is held at Zero Zero @ the Central and this restaurant serves fusion food (based on a blend of Japanese, Italian & French cuisines).. The restaurant has beautiful and chic furnishings completed with terrific views of Clarke Quay! 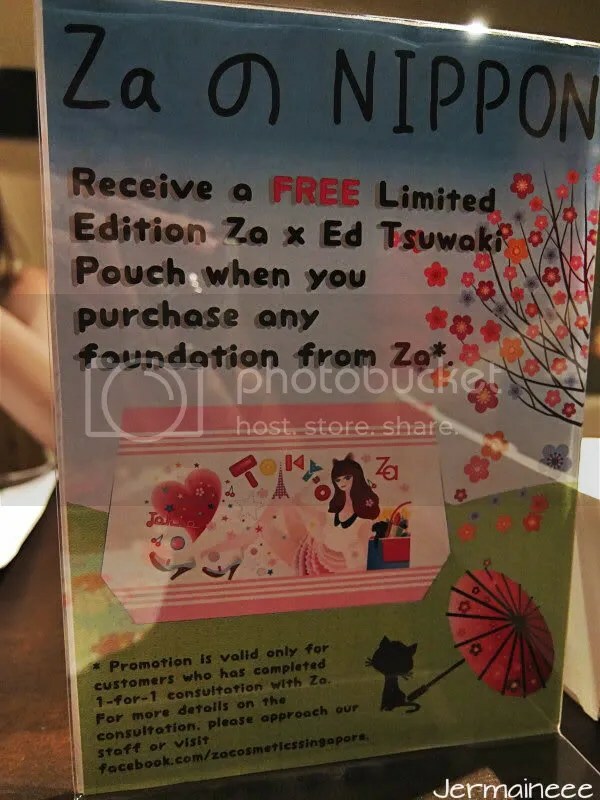 Here’s another promotion whereby you can get a free limited edition ZA x Ed Tsuwali Pouch and I’m so tempted to check it out as well! It has been sometime since i last drank such nice fruity tea.. With every sip, you will experience a soothing sensation completed with the sweet apple after-taste…. Aww! So light and refreshing!! 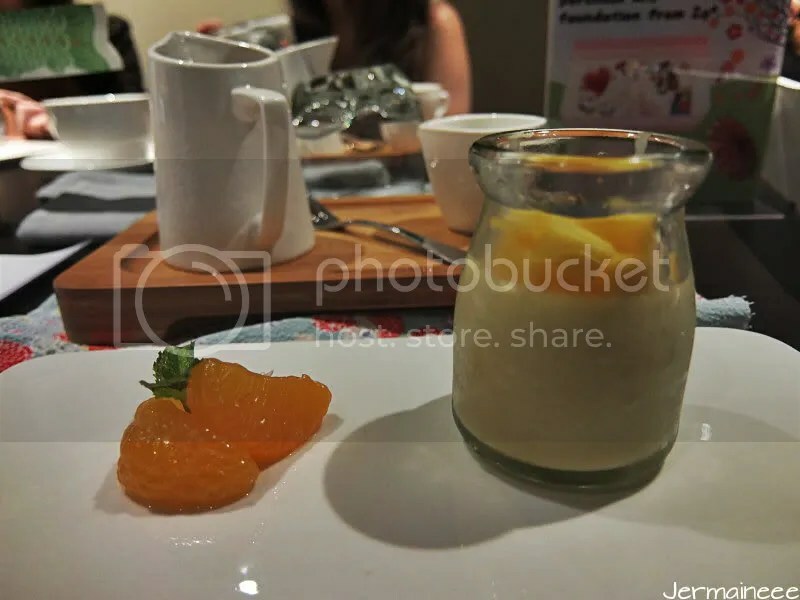 I also had the Pomelo Orange and Mango Pannacotta which is one of their signature desert.. The Pannacotta has a denser texture (as compared to normal pudding) but i will prefer it to be sweeter as i find it a little too sourish and not to my liking.. 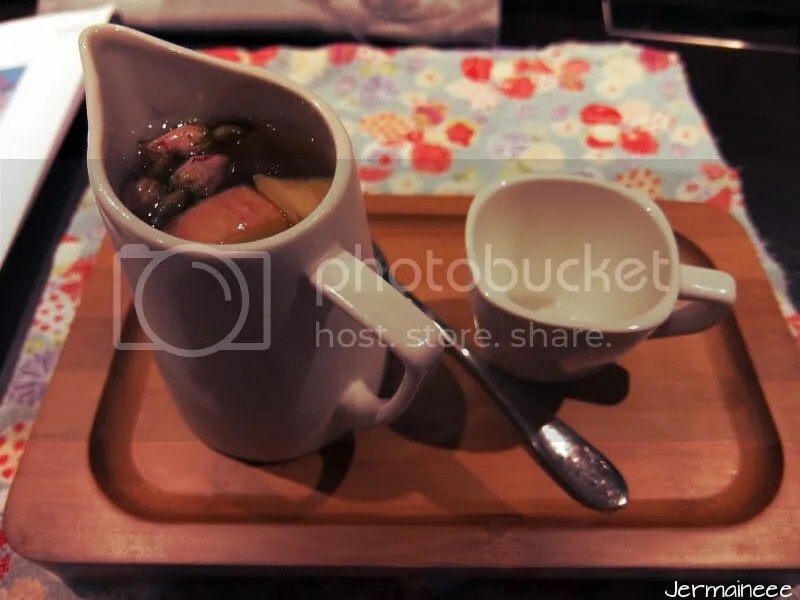 The fruits – Mango cubes, orange slices and Pomelo are really sweet thou! Before i go, will like to inform my readers that Za cosmetics is collaborating with Lowrys Farm for a styling workshop… Fashion Brand – Lowrys Farm is No. 1 Causal Brand in Japan and it has over 100 stores in Japan and In march 2012, this brand has arrived our shores. The brand concept proposes refreshing coordinates of timeless basic and seasonal trends.. Items have simple yet realistic style mixed with updated current trends.. Since it is limited edition, the ZA Tokyo Limited edition set comes in limited quantity so be sure to get yours asap to prevent disappointment.. Hot Yoga!! Where to practise it? “P.S. I LOVE YOU” – Be Safe, Not Sorry!